I have been doing a whole series on different holiday treats this year, as I made myself a goal to spend some time actually cooking. 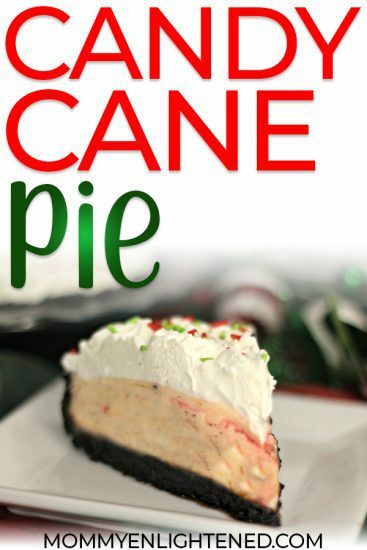 This time we decided to make a candy cane pie. As always, I don’t claim to be an amazing cook. It’s all about the journey though, right? If you are in a hurry and strictly looking for the recipe, feel free to scroll down for a printable recipe card. I knew I was in trouble when my chef-trained mother-in-law told me that this was going to be a rough recipe. She’s a little embarrassed to admit it, but she hates baking with gelatin. It’s not exactly easy to get it to turn out right. If you are looking for something you can do with your little one, consider checking out these adorable snowman pops or this Oreo Candy Cane fudge instead. I am not trying to convince you not to try and make this pie, but I wanted to be sure you were properly warned. That’s all. First, be aware that you will need a ridiculous amount of ingredients. In case you were wondering–it’s twenty-three. 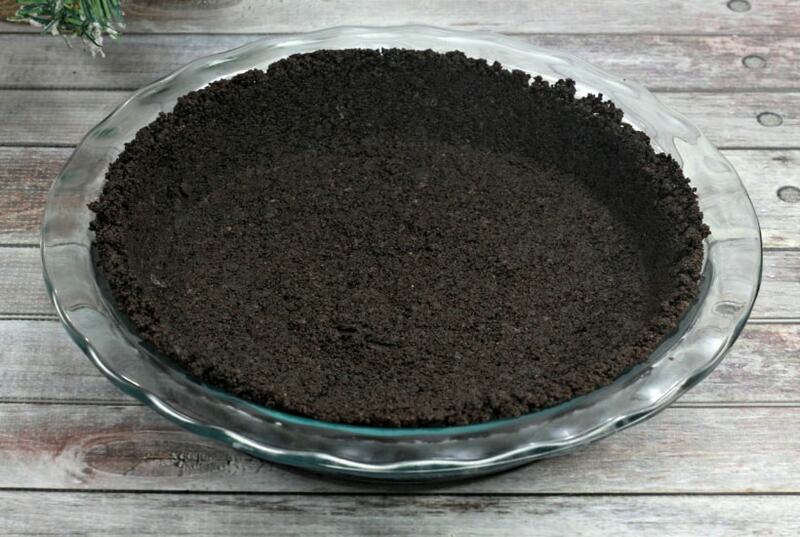 That’s for the crust, chocolate pie, and the candy-cane pie. Surprisingly, the crust is the easiest part. It was also my daughter’s favorite part, probably because I let her lick her fingers afterwards. 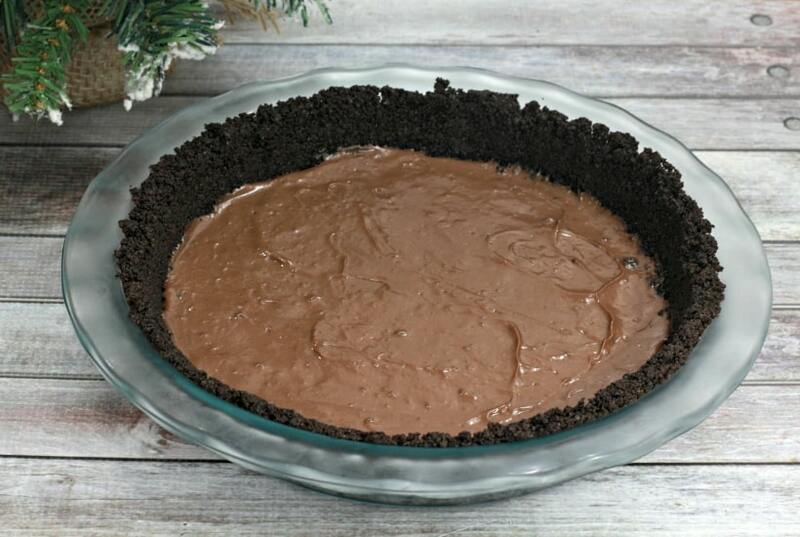 After the crust, you will mix up the chocolate cream. 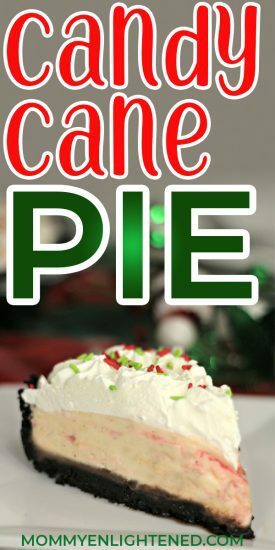 Keep in mind that you only want to fill it halfway, as your top half will be the candy-cane pie. Also, the chocolate cream needs to set for five hours, so make sure you leave yourself enough time to go back and finish the pie. Here comes the part with the gelatin. Getting the right consistency was our biggest struggle, although we eventually seemed to get there. Overall this was a lot of fun to make, although I am not sure that we will do it again, as it proved to be extremely time intensive. That explains why it’s probably not super common though. Pour the combined mixture back into the sauce pan and place on the stove on medium to high heat and bring to a boil while gradually whisking the mixture. 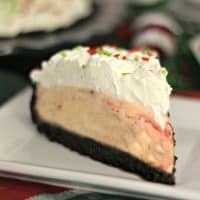 You will only want to fill the bottom of the crust because the top half will be the candy cane layer. When you have 30 minutes left on the clock for the first half of the pie, start making the candy cane portion. Gradually mix in the 1/4 C powdered sugar and vanilla extract until stiff peaks form. You're going to think your making whipped cream . 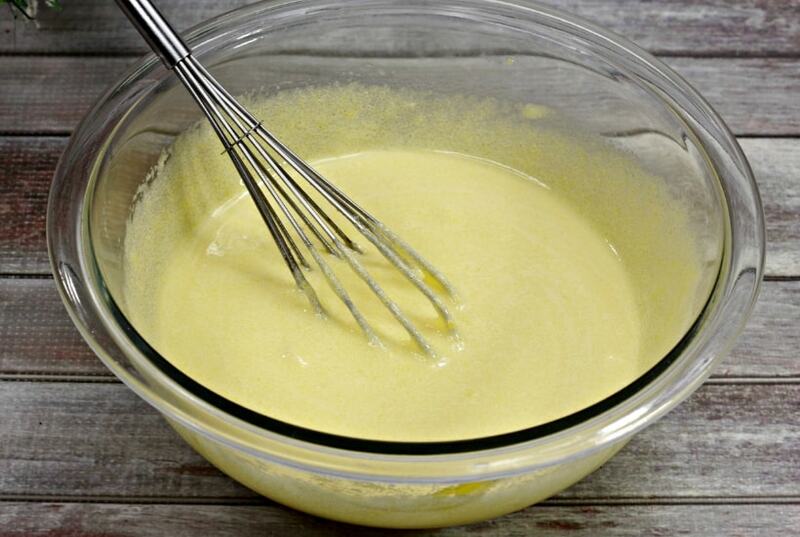 In a large bowl, using a hand mixer, beat together the cream cheese and butter until smooth.